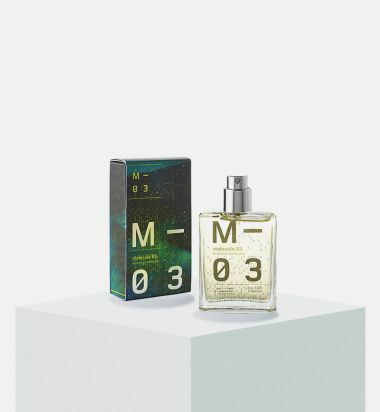 Molecule 02 is a perfume from the second, new series of synthetic fragrances from Escentric Molecules company. Together with the new Escentric 02, it revolves around ambroxan, separated as the central note, a component of ambergris. Molecule 02 contains only ambroxan, which is a great fixation, and therefore stays with you all day, very pleasant, velvety, warm and delightfully sweet, non-obtrusive. 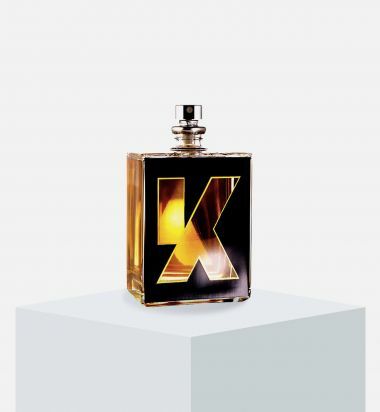 Escentric Molecules' Kinski fragrance is inspired by one of the most enduring, cult-worthy screen legends Klaus Kinski. Launched in 2011 to mark the 20th anniversary of the German actor's death, the unisex scent blends effervescent berries with dark and animalic notes to create a complex and decadent aroma. Notes: blackcurrant, plum, juniper berry, pink pepper, nutmeg, castoreum, marijuana accord, orange blossom, orchid, rose, magnolia, costus, benzoin, patchouli, vetiver, cedar, styrax, cistus, oakmoss, ambergris, musk. 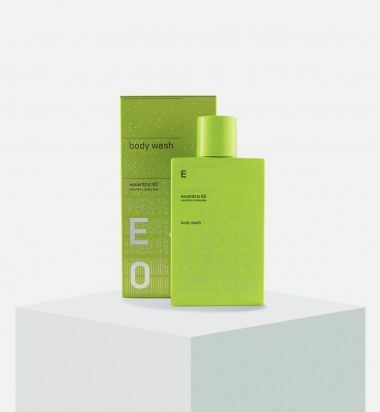 Escentric Molecules' Escentric 01 Body wash is simultaneously energizing, moisturizing, cleansing, and fragrant. The unisex scent features the magnetic Iso E Super aroma-molecule blended with notes of pink pepper, lime, balsam, and musk. From the Series 01 Collection. Plant extracts: hydrates and revitalizes the skin. Notes: Iso E Super, lime peel, hedione, balsam, musk. 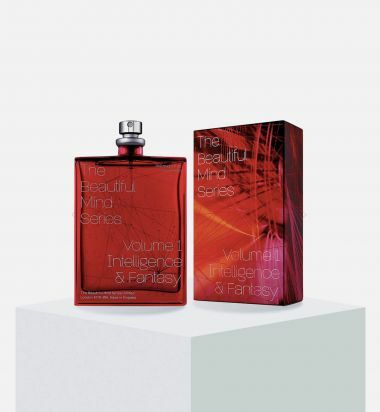 From The Beautiful Mind Series, Escentric Molecules' Volume 1: Intelligence & Fantasy is a women's fragrance that was created by the brand's founder, Geza Schoen, and World Memory Champion Christiane Stenger. This captivating scent features a unique tiare absolute oil, which smells almost identical to the living tiare bloom, representing superb memory in olfactive form. From The Beautiful Mind Series. Top notes: bergamot, mandarin, magnolia bud, hedione. Middle notes: tiare absolute, rose, osmanthus. Base notes: cashmeran, musk, sandalwood, cedar. 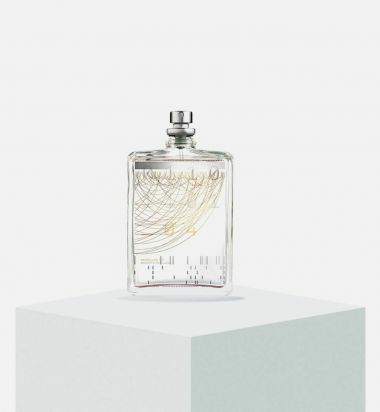 Escentric Molecules' Molecule 01 is a unique unisex fragrance that showcases a single note: the magnetic Iso E Super aroma-molecule, known for its pheromone-like qualities. Used as a base note in many legendary perfumes, the Iso E Super has a sweet sandalwood scent that hovers close to the skin to create an indefinable aura around the wearer. From the Series 01 Collection. As one of the second set of fragrances in the Escentric Molecules line, based on a form of synthetic sandalwood, it was crucial the Escentric 04 offer something distinct from its 01 counterpart. Luckily, Geza Schoen loves a challenge, so it shouldn’t come as too much of a surprise that Escentric 04 is a zesty, vibrant delight entirely its own. In fact, if anything, E04 uses the mouthwatering facets of Javanol to string together the best of each of the previous Escentrics- E01’s smooth woodsiness, E02’s invigorating crispness, and E03’s robust yet sheer grassiness. 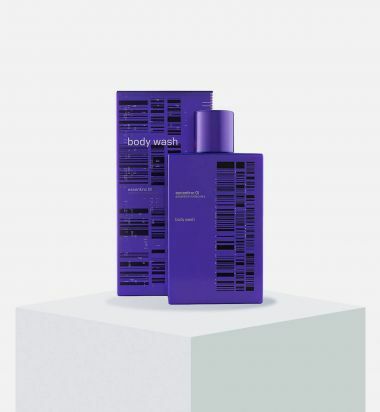 This is due to supporting notes that add electric pops of color- botanical juniper, bright, tart grapefruit, resinous mastic- all in the service of a scent as substantial as it is refreshing. Sheer, sparkling and thoroughly modern, Escentric 04 proves you don’t need to be loud in order to make a statement. Notes: Javanol, botanical juniper, grapefruit, mastic.